Do Less & Get More Done. Yeah, it's like that. Leverage technology to take care of the minutia so you can focus on the stuff technology can’t do for you. Send automated welcome emails to new subscribers, personalized updates, and nurturing campaigns with timely, targeted content that converts readers into new and repeat business. Email Fire™ let’s you set up automated email campaigns with just a few clicks. With an intuitive and super easy to use workflow builder, it’s a breeze to customize your content and set up timing and sequences that act like your own personal virtual assistant. Who couldn’t use an extra set of hands when it comes to marketing and follow up? 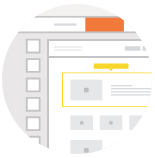 Get performance reports for an entire campaign or one-off emails. You’ll get immediate insight as to what’s working and what isn’t, allowing you to make improvements and continue getting better results with every effort. Getting the right message to the right people has never been easier than with our audience segmentation feature. Target groups based on criteria like past clients, demographics, opportunities, referral partners, and much more. Use our simple, intuitive content editor to create beautiful, automated emails with just a few clicks. You can build custom templates and save them for future use, or access our template gallery for even faster campaign creation. Integrations that make your automation more powerful -- built right in. Connect email Email Fire™ to your Velocify, Salesforce, or other CRM account to take your automation to the next level. Put technology to work for you and forget the manual data entry. 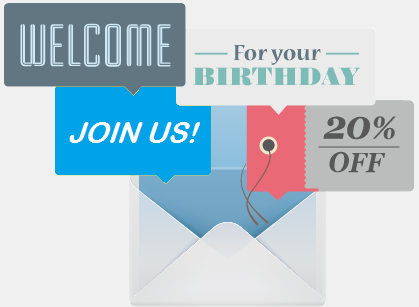 Designs that are mobile-ready to welcome new subscribers, send birthday wishes, nurturing campaigns, and much more. 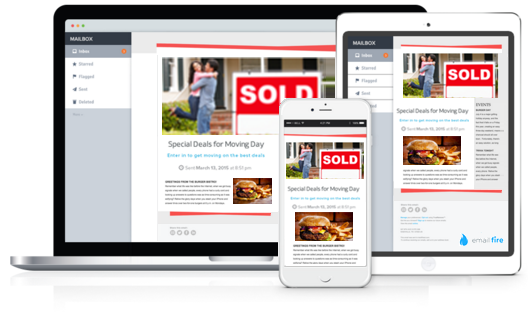 Simply add your custom content and Email Fire™ will automate the rest. We make it easy to see who’s engaging with your emails. 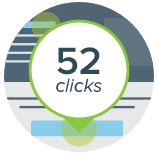 You’ll get Email Scores and Click Maps that show you how well your emails are doing based on past campaigns, and even where people are clicking within your content. Point, click, drag, and drop your way to awesome (and lightning quick) content creation. You can add images, text, video, and much more — then arrange your content and style it exactly the way you want it, fast. From custom email designs to strategy and marketing advice, we’re here to support you every step of the way. Our clients quickly learn that leadPops™ Coaches are truly an extension of their team.